“To start, yes the global economy is fairly grim and the cyclical aspects of our business are biting extremely hard in the face of the structural changes. But the Internet isn’t killing the news business any more than TV killed radio or radio killed the newspaper. Incumbent business leaders in news haven’t been keeping up. Many leaders continue to help push the business into the ditch by wasting “resources” (management speak for talented people) on recycling commodity news. Reader habits are changing and vertically curated views need to be meshed with horizontal read-around ones.Blaming the new leaders or aggregators for disrupting the business of the old leaders, or saber-rattling and threatening to sue are not business strategies – they are personal therapy sessions. Go ask a music executive how well it works. 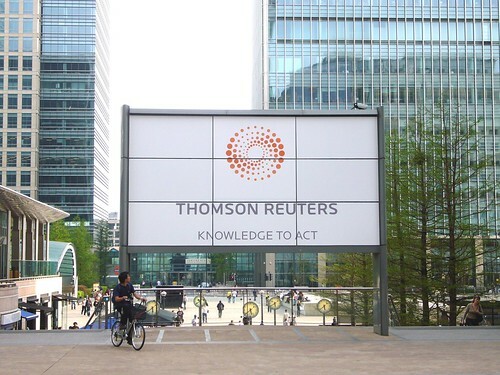 Disclaimer: In the interests of full disclosure, I should probably state that Thomson Reuters currently pay my wages.